Representation matters, and is so well done (in my opinion) with this comic. 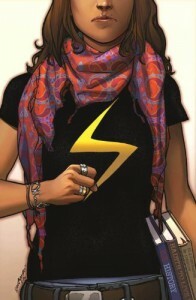 Kamala Khan is a wonderful addition to the Marvel universe, and the best person to take up the Ms. Marvel moniker. She is the next generation of superhero, and it looks so promising. I adore her and the way this comic is.